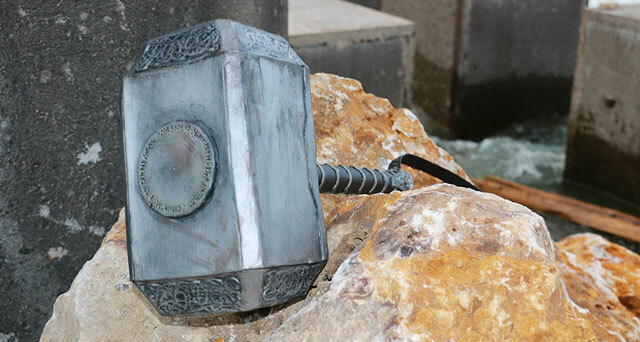 There are these moments as a cosplayer, when you hit the send button in your gmail with a beating heart. For example, when it comes to ask a great photographer if there is an opportunity for a cooperation. Last July I had one of these moments when Calvin Hollywood, an international reknown photographer and digital artist, posted on his facebook, that he would be open for free projects and folk could apply. I never NEVER thought I would even get feedback. 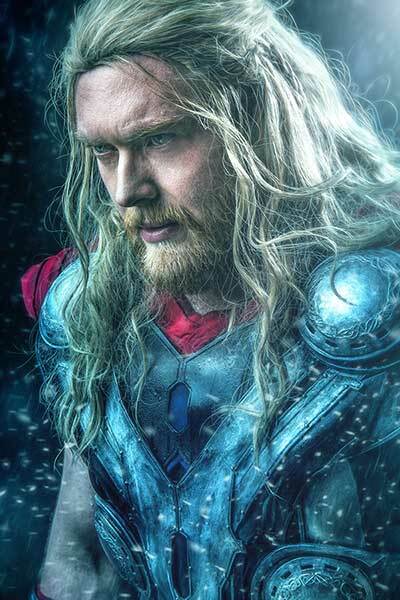 Nevertheless I chose some photos from Marcel in his Thor cosplay and some casual ones, wrote a few lines and – with a beating heart I hit the send button. A few days later I really found an email in my inbox from Calvin himself! 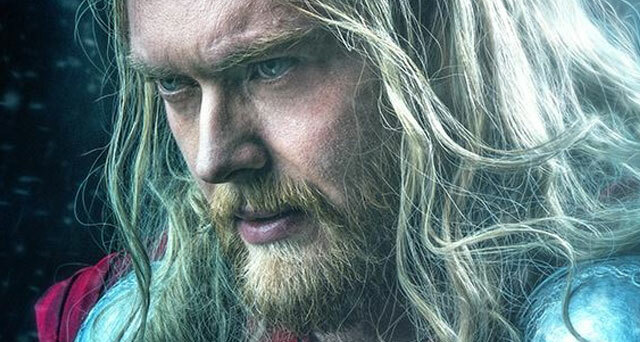 He told me he was interested in shooting Marcel as Thor and we instantly talked about a date and details. 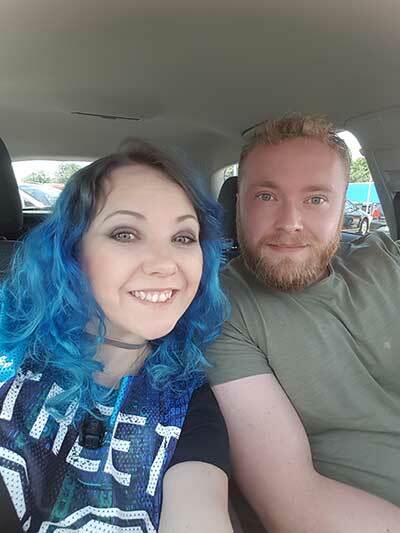 I can tell you: My costumers, crafters and cosplayers heart sang. My girlfriends heart sang. All myself sang. 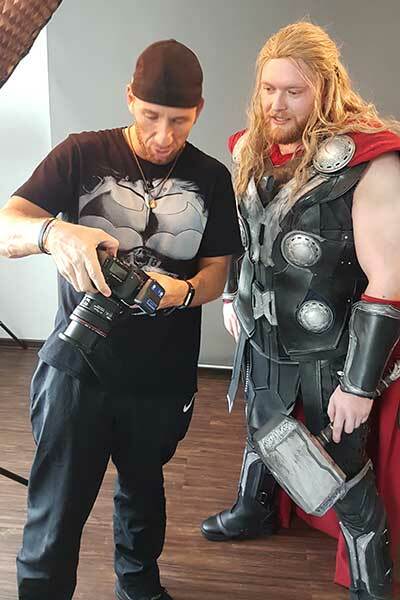 I had one hell of a smile when writing back to Calvin knowing a dream was coming true to have a shooting with Marcel in our Thor cosplay with this awesome photo artist that Calvin is. 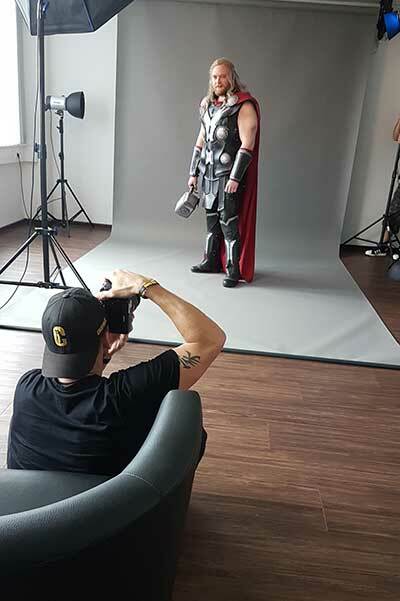 I consider the Thor armor as my current masterpiece in creating cosplay and having it shot from a photographer like Calvin it was like the cherry on the cake. So the day came and after a 2 hours drive we arrived in Calvins studio. We got a really nice welcome and an own room for changing and preparing Marcel for the shooting. 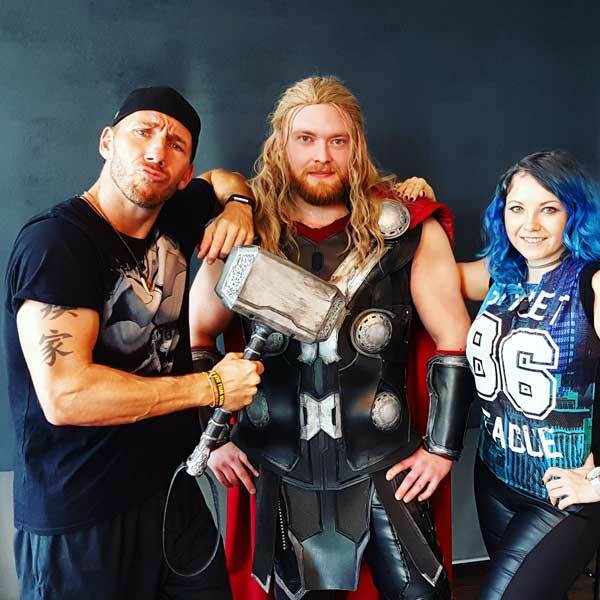 Calvin even sat down with us to talk a bit about the costume and how I found him and his announcement for free work and how we decided to create this cosplay for Marcel. After getting Marcel ready, we went to the studio where Calvin showed us the mood pics he chose for our shooting. He really was so well prepared knowing exactly what he wanted Marcel to do and look like. So the shooting started and I can tell you I was such a proud costume mama! Seeing Marcel working with Calvin and his team was a really proud moment for me and when I saw the first result on the camera display my personal grin got a +100 – Even before using his key skill, digital art, Calvin made one aweseome shot after another and as a big plus he was directing Marcel, who still is a rookie cosplayer, so well! 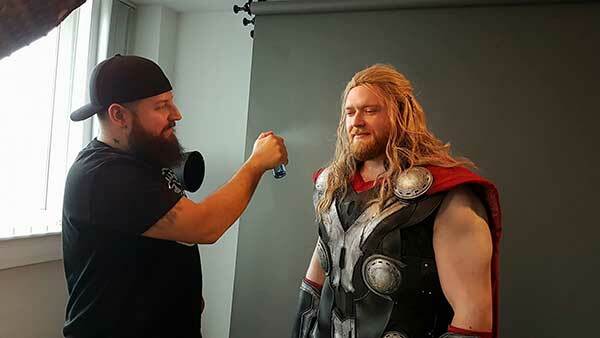 He gave great tipps for posing and facial expression and really I think this is a great photographer skill and helped my God of Thunder a lot. 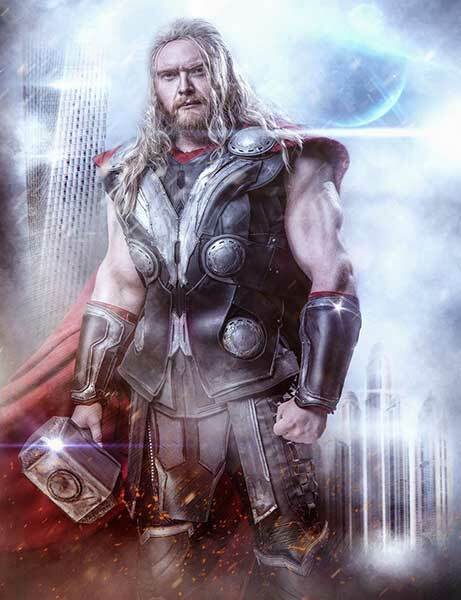 Big Surprise: More Thor Cosplay Edits! What I was really flabbergasted about was, that a friend of Calvin, Dheny Patungka, a really great digital artist from Indonesia asked for a RAW, so we even got an edited photo like in 48 hours after the shooting – and look how aweseome Dheny placed Marcel in this urban environment! You can find more from Dhenys art on Instagram – go check this out! Photo: Calvin Hollywood – Edit: Jorge B. But last but not least here – again – is the piece of art Calvin created. For me this could 100% be a Marvel Cinematic still of movie poster. 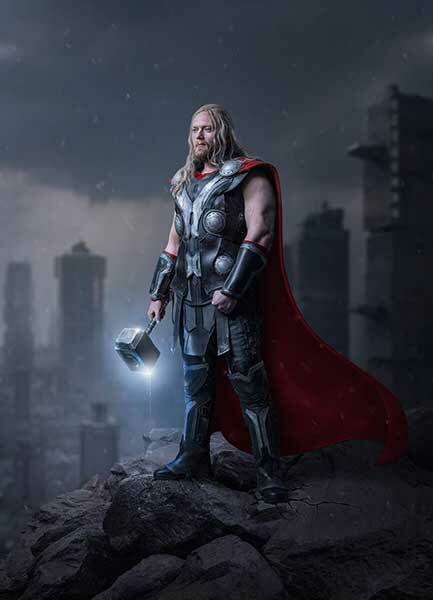 Just a little email, a few words made this epic Thor cosplay picture possible. So guys, dare to reach out to photographers, offer ideas, do network – it will pay off. What I can tell you is – don’t hesitate to ask – don’t dare think forward. 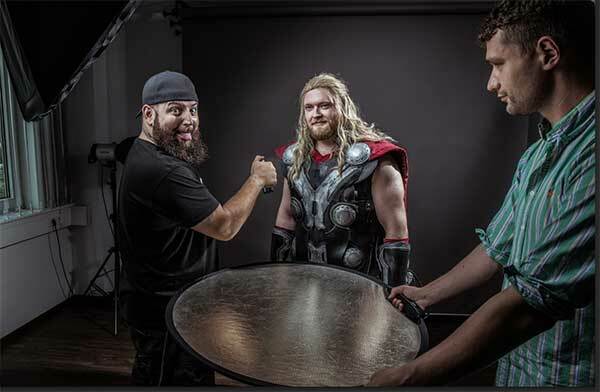 This is how this dream of a Thor cosplay photoshoot came true, too.